Built-in artificial intelligent digital voice announcer. Note:U need a SIM card which as same as phone card to operate it. 8 wired defense zones and 100 wireless defense zones;At most 5 wireless remote control codes. Can store 6 group of phone numbers; when alarming, system will make alarm call to these numbers automatically; Can store 2 groups of SMS number; when alarming, system will send alarming SMS automatically. Can store 2 group of call number about alarm receiving center. 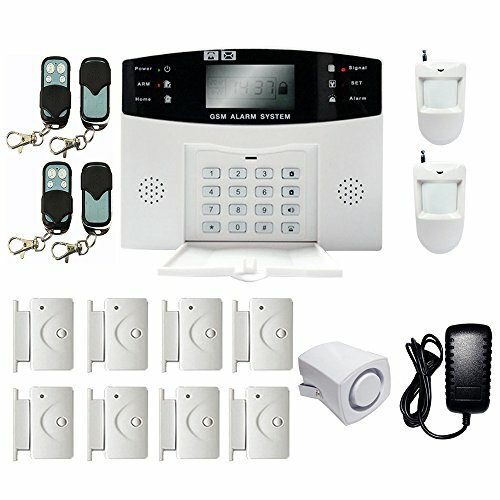 One-key-control function: out arm, home arm, remote arm, door, hall, window, balcony, and perimeter places alarm; Real-time, delay, 24hours,bypass defense zones programming function. If you have any questions about this product by i-mesh-bean, contact us by completing and submitting the form below. If you are looking for a specif part number, please include it with your message. Universal Button, Pneumatic, 1-5/8 In.